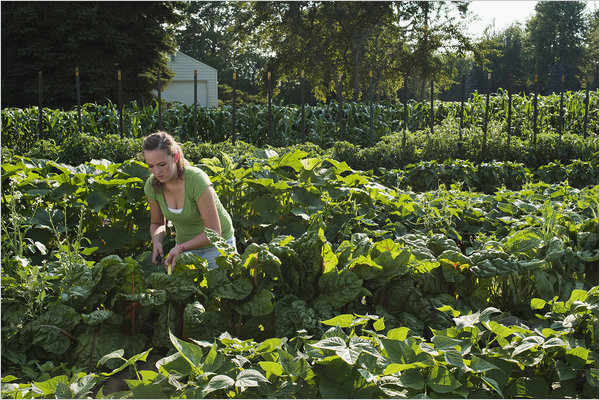 Alexandra Rau (14 years old) of Petersburg, Michigan, turned her backyard garden into CSA (community-supported agriculture). Her small farm has 14 subscribers who receive batches of freshly-picked produce for two months. Alexandra is certainly not making bank. After seed and planting expenses, her take for the Summer will be right in line with what her friends are making at other jobs. But in my opinion, she’s adding a lot more to the community and the families her backyard supports than she would be hawking ice cream at the local chocolate shop. Thanks to the New York Times for this piece.